Dig-In Digestive Gravy Powder is an all natural food-based health supplement, which is simply added to your dogs dinner. 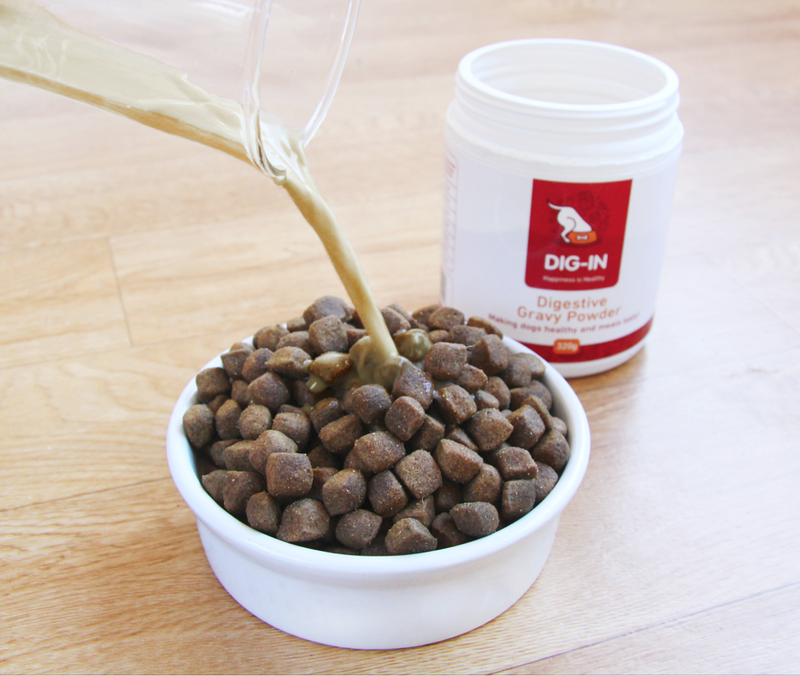 Apply it as a powder to wet food, or add water to make it a gravy to enhance the palatability of dry food. It has been scientifically developed to aid with the common symptoms of food allergies, in particular targeting digestive repair, and skin and ear irritations. 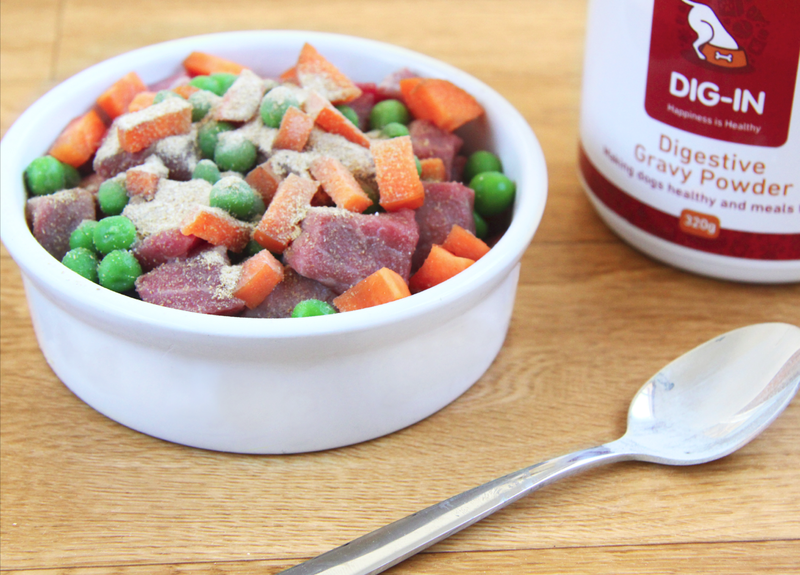 Plus your dog will LOVE the taste of their dinner and Dig-In for more and more! Postage Australia-wide is included with any purchase. 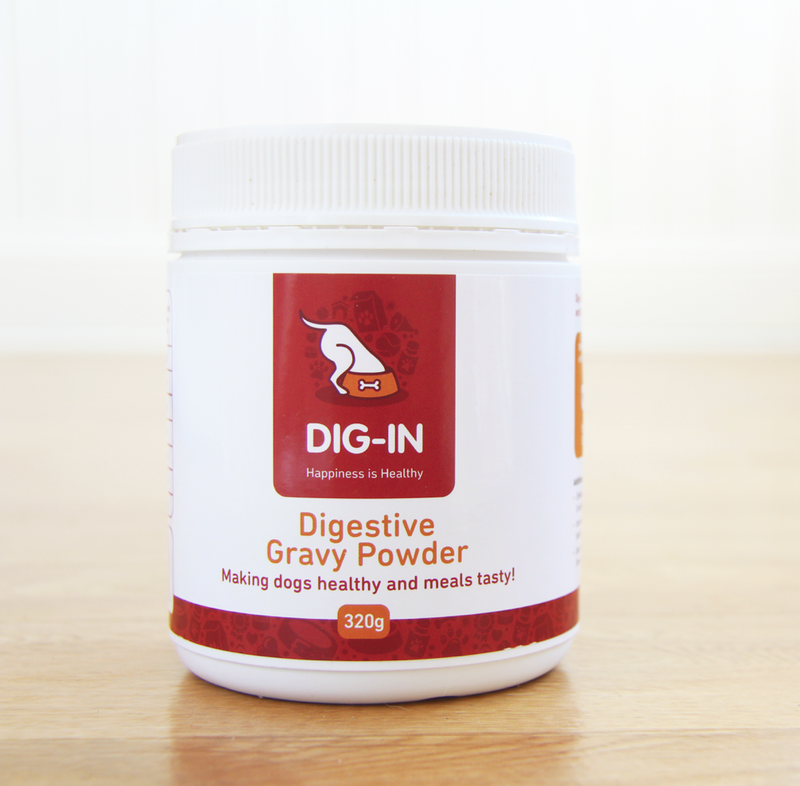 Dig-In fights against any nasty bacteria in the digestive process, and builds a stronger immune system to ease the common symptoms of food allergies. We've got them all covered in one simple powder! 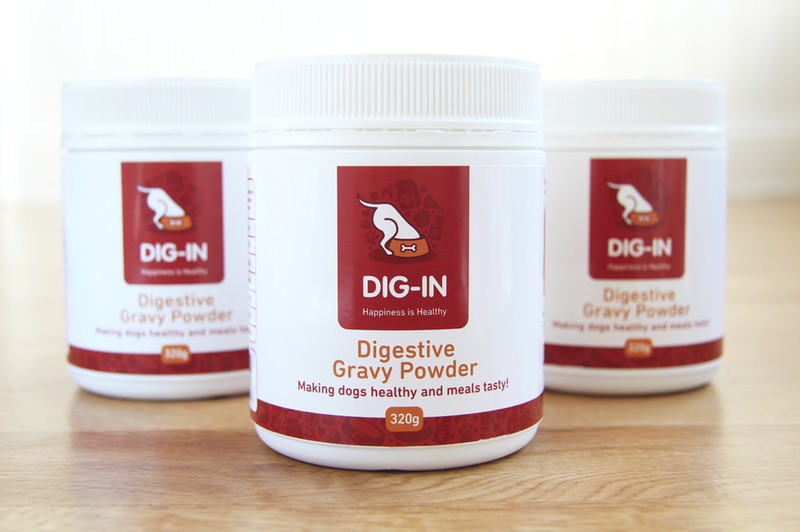 How should I feed Dig-In Digestive Gravy Powder to my dog?